One of the reasons why students love studying English in the United States is that it offers the opportunity to make new friends and discover a new culture. You won’t just practice your English—you’ll also get to taste delicious new foods, try new activities, and even celebrate new holidays! In America, one of the biggest holidays you can enjoy is Thanksgiving. Every year on the fourth Thursday of November, Americans across the country gather with their friends and family for a delicious Thanksgiving dinner. It is one of our most treasured celebrations, and one that you can enjoy during your studies. This year, Thanksgiving will be on November 23rd. Want a few tips on how you can celebrate Thanksgiving? Read on to find out! Having a huge dinner with friends and family is one of the most important parts of celebrating Thanksgiving. Typically, Americans will prepare a roasted turkey filled with bread stuffing. However, that isn’t all there is to a Thanksgiving dinner! 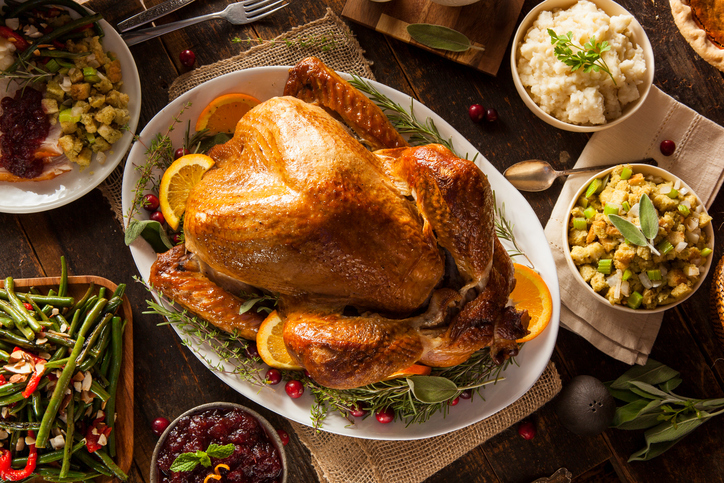 Other dishes like mashed potatoes, green bean casserole, cranberry sauce, bread rolls, and pumpkin pie are also part of a traditional Thanksgiving meal. Enjoying a Thanksgiving dinner is an important part of celebrating this holiday! Cooking all that food takes time, and Americans will often begin preparing dishes early in the day or even a day or two in advance. Fortunately, students at schools like ESI don’t need to worry about cooking an entire Thanksgiving dinner by themselves. 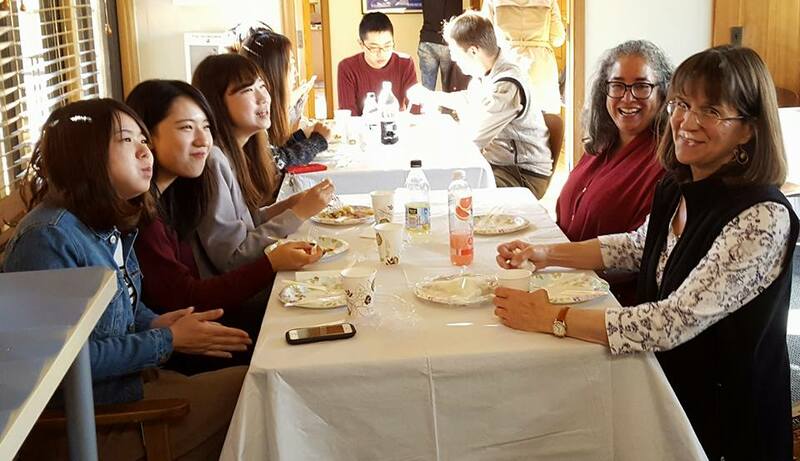 Caring ESL schools know that enjoying American culture is important for students, and organize a Thanksgiving dinner for students and teachers to enjoy together! Americans have been enjoying Thanksgiving dinner since 1863, when it became an official national holiday. However, there also several other recent traditions to be enjoyed on Thanksgiving. One of those traditions is watching football! NFL Thanksgiving Day football games have been a popular pastime since 1920. Many enjoy cheering for their favorite teams, either at a stadium or at home by watching the game on television. If you decide to study English in the USA, watching a football game on Thanksgiving can be the perfect way to enjoy American culture. If football isn’t your favorite sport, don’t worry, there are other Thanksgiving traditions you can try. For example, you might want to watch the Macy’s Thanksgiving Day Parade. This parade takes place in New York, but is broadcast across the country on television. 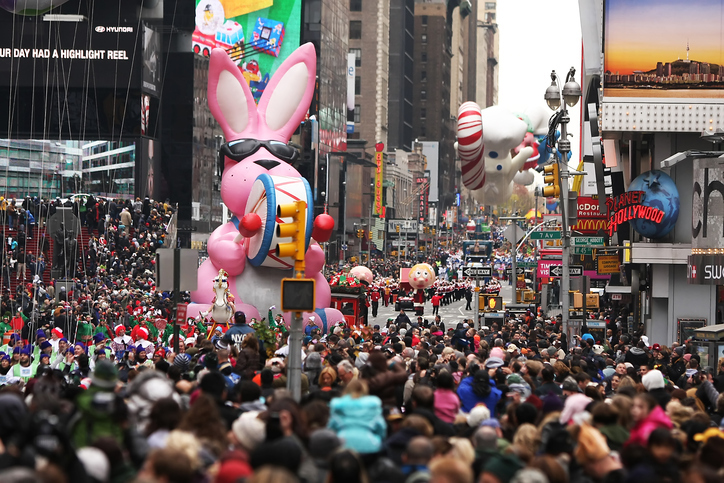 In fact, approximately 50 million Americans watch the Macy’s Thanksgiving Day Parade on television every year! Another modern Thanksgiving tradition is Black Friday. Black Friday occurs the day after Thanksgiving, when stores across the country offer huge discounts. Many Americans use this opportunity to go shopping, with some even waiting in huge lines to enter their favorite store. 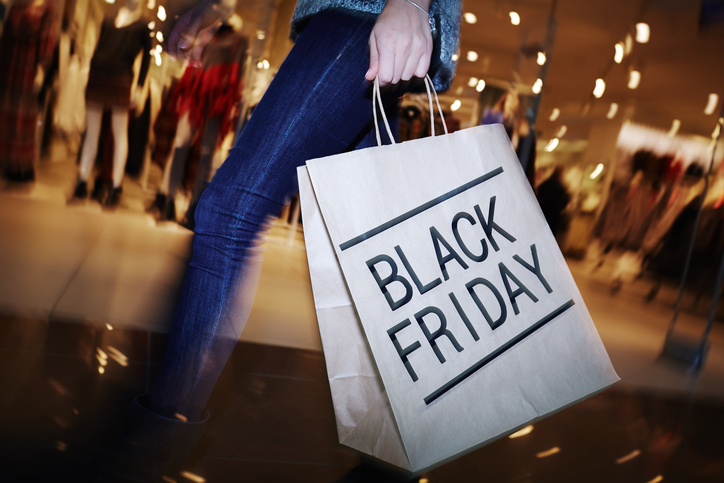 If you like shopping, or want to enjoy a day at a local mall when taking intensive English courses, Black Friday can be the perfect time to go—although be warned, it can get very crowded! You can visit your favorite mall on Black Friday! Most importantly, Thanksgiving is a holiday about being thankful. When the pilgrims arrived in America, they wanted to celebrate their first successful harvest in their new home. To do this, they had a huge feast with local Native Wampanoag People, which they enjoyed together. Today, Americans still remember the original meaning of Thanksgiving, which is why many will also use this holiday as a time to reflect in everything they are thankful for. When celebrating Thanksgiving, you can also take some time to list all the wonderful things you are happy to have in your life, from wonderful new friends to memories that will last a lifetime. Do you want to study English and enjoy American culture? Consider enrolling at ESL school in San Francisco!